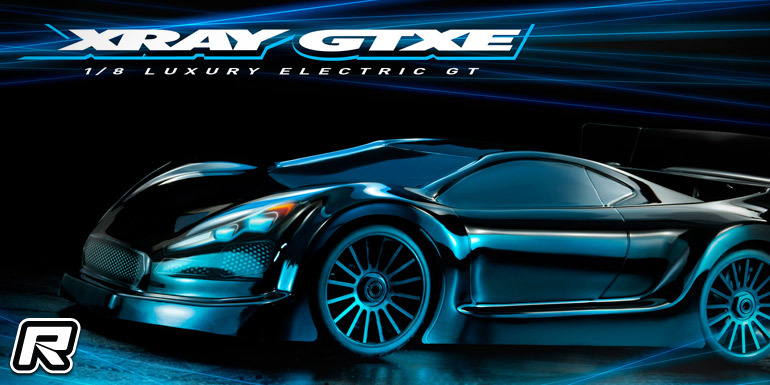 Xray are busy adding more 2019 specification kits to their line-up with the electric-powered GTXE 1/8th on-road kit being the latest vehicle to receive the ’19 treatment. The car received some subtle changes to further up consistency and overall performance with the first area to receive updated being the front and rear gear differentials. The all-new high-volume differentials were developed to improve vehicle control and consistency over long runs and enhance reliability. The differentials feature larger capacity cases, as well as larger internal gears with more teeth for improved differential moment. The larger oil volume and the shape of the gear teeth reduce fluid overheating while the diff pins have a new, stronger design to improve reliability. 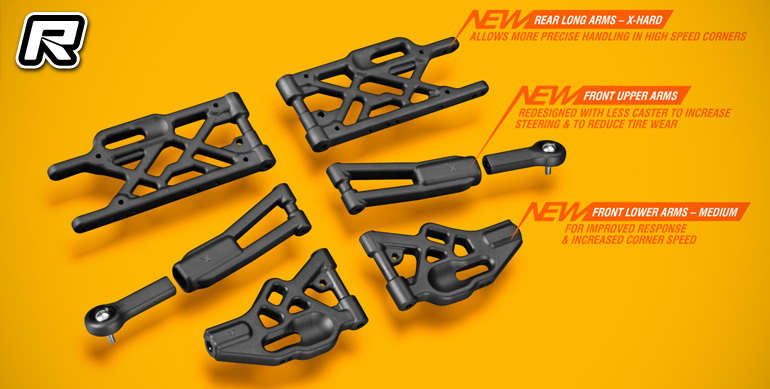 The kit’s all-new front lower and upper arms are moulded using a harder material to improve response and to maintain bind-free suspension movement in dusty or hot conditions. The longer rear arms help create more forward traction and allow quicker acceleration out of corners. The rear arms are also moulded from an extra hard material for consistent and responsive performance. 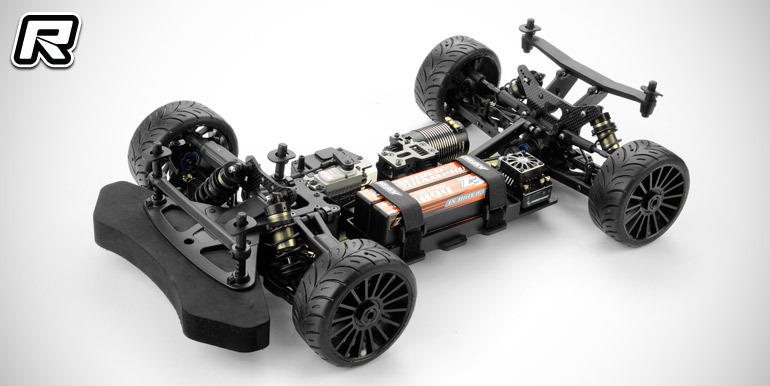 The updated front upper arm geometry allows for less caster to improve the steering characteristics, increase the overall steering and help reduce tyre wear. Also in the suspension department, the rear uprights feature new larger outer 8x16x5mm ball-bearings for increased reliability and life-span. To expand the set-up alternatives, an additional lower roll-center adjustment position was added. The design allows the same upright to be used on both left and right sides and the wheelbase position is adjustable using two shims along the lower suspension pin. In addition, the rear uprights feature integrated geometry adjustments including camber, upper and lower roll center and wheelbase. To match the updated suspension geometry, new longer camber links accommodate the revised roll center positions on the new uprights. 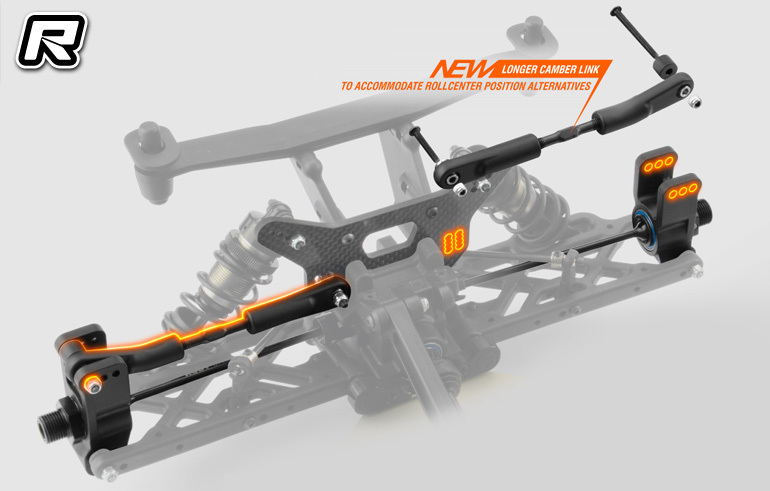 New, narrower rear suspension holders work together with the new longer rear arms to improve overall grip, forward traction and allow earlier acceleration at corner exit. 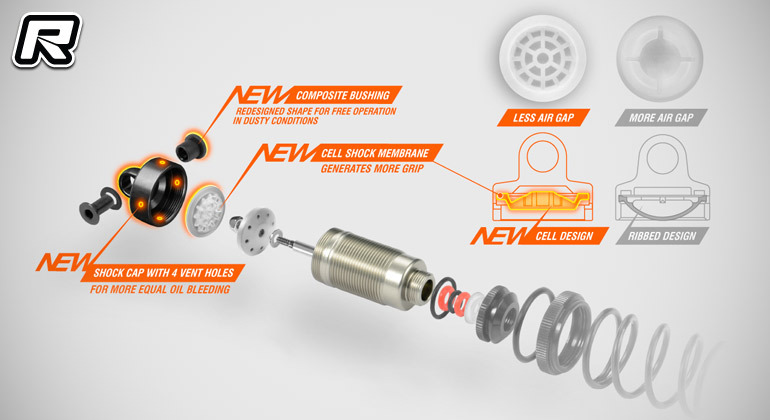 The included GT shock absorbers were redesigned with new shock caps and cell shock membranes. The all-new shock caps feature four bleeding holes for easier building, setup and maintenance and a more precise shock rebound setting. The cell shock membranes have less air gap that helps to generate more grip. The redesigned shape of the composite bushings result in free operation even in dusty conditions. Also included in the kit are new harder front and rear anti-roll bars with a 2.8mm wire in the front and a 3.0mm wire in rear which results in less chassis roll and thus improved corner speed and stability. 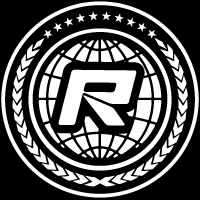 The kit will hit stores very soon.